I read Lifesaving for Beginners very slowly. On purpose. Is there anything more complicated than a daughter's relationship with her mother? Even in the best of situations, it can be so weird that it defies understanding of any kind, especially from those outside the relationship. Anne Edelstein's relationship with her mother was most definitely complicated...the way she describes their intricacies, their issues that may only seem like "issues" to a few others, really rang true to me. What I saw happening between Anne and her mother was a tightening and loosening of the proverbial apron strings...sometimes in sync, sometimes not. The things about Anne's mother that irritate her, she sees in herself. She puts her mother on this island...her mother, nothing else. Forgetting that her mother is a person too...a person who lost a son...a person who lost a father...a person who may have lost herself in the process and is just trying her best to get by and make life normal. 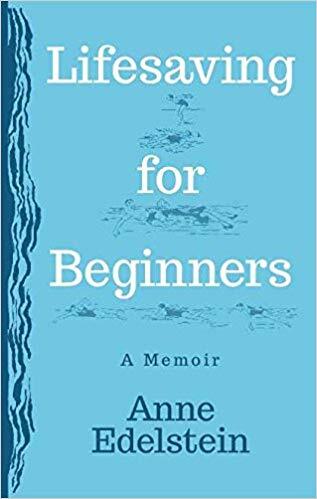 Grief is a huge theme in Lifesaving for Beginners. There's no getting away from that...but not just grief as we are experiencing it, but who we are before, during, and after it...how we process it, how we come to understand others around us and their orbit in our world...that we thought was just an island. Edelstein's book reads like poetry to me...something I wanted to move with, think about, examine in my own life. I enjoyed it very much. Thank you, Anne, for sharing your family with us. A couple of nights ago, I had a beautiful dream about my mother. I was lost on the way to school in the first grade. I was walking on a street in a town very unlike my own, cold with brick buildings reminiscent of small, austere towns in upstate New York. The name of the town was "Hydro." I roamed past an old, brick power plant. I turned a corner and walked up the stairs to my house and rang the bell. A woman who was my mother answered the door wearing a diaphanous dress in a pale shade of greenish blue. Apparently she and I lived there alone. In my dream, I kept waking up and knowing that the woman wasn't really my mother, but then I 'd keep on going back to sleep again so I could be with her. Anne Edelstein has worked in the book publishing business for over 25 years, as an editor and then as a literary agent. She grew up in suburban New England as the eldest of three siblings. When she was 28 she lost her brother to suicide, and 15 years later her mother drowned at the age of 68. 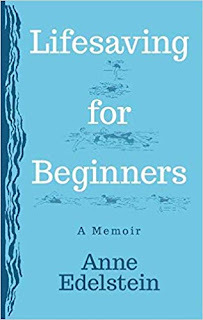 These two tragedies gave rise to Lifesaving for Beginners, which is her first book. She lives in New York with her husband, and spends part of each year in Barcelona. She enjoys drawing, reading, writing, and traveling, and is an avid swimmer. 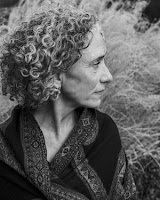 Visit Anne at her website, anneedelstein.com, and connect with her on Facebook. Wow, this is really powerful: "Grief is a huge theme in Lifesaving for Beginners. 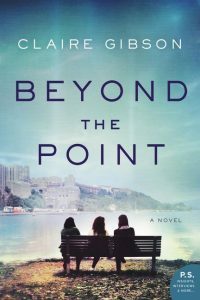 There's no getting away from that...but not just grief as we are experiencing it, but who we are before, during, and after it...how we process it, how we come to understand others around us and their orbit in our world..."
I enjoyed it immensely!! Thanks for having me!